Peter Fonda’s 1971 Western The Hired Hand has greatly benefitted from forty-seven years of reconsideration, revisiting and revisionism. Having emerged at the forefront of the New American cinema of the late Sixties with Easy Rider and the counterculture flicks of Roger Corman, Fonda took an expressive look into the American West of the late 19th Century for his directorial debut. 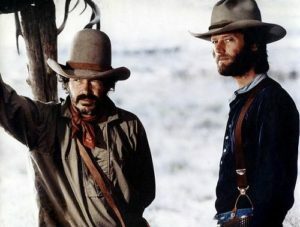 In the film, Fonda plays Harry, a man who deserted his wife (Verna Bloom, Medium Cool) and child to explore the wide-open plains with his best friend Archie (Warren Oates, Badlands), only to return home seven years later to rekindle his marriage and reacquaint himself with the daughter he barely knew. 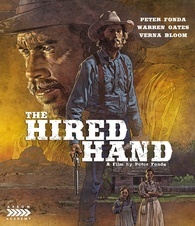 With its saturated, lustrous cinema by the great Vilmos Zsigmond (Deliverance, Blow Out, You Will Meet A Tall Dark Stranger), a gently captivatingly, carefully paced script by Alan Sharp (Ulzana’s Raid, Night Moves) and trio of muted but powerful performances by its three principals, The Hired Hand oughta be pictured in the dictionary next to the definition of elegiac. Indeed, when the film erupts into several moments of violence (there are only a couple of them), they play like with the power of an over-the-top Peckinpah gunfight. Again, the years have been good to The Hired Hand, a film that was panned upon its debut and ignored for decades until Martin Scorsese and his team rescued, restored and re-issued to a much more appreciative audience.